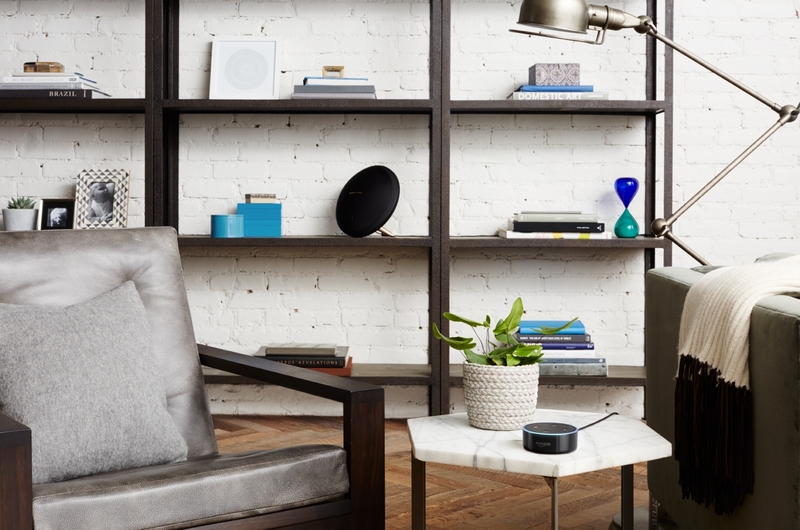 Starting today, the Echo, Echo Plus, and Echo Dot are available for pre-order from Amazon.ca and will begin shipping on December 5th. The Echo Dot will go for $69.99 CAD but you can get it now for a limited time price of $49.99 CAD and in two colours, black, and white. The Echo has also be given a limited time introductory price at $99.99 CAD after it will go for $129.99 CAD and available in a number of shell colours including sandstone, heather grey, and charcoal. The Echo Plus will retail for $169.99 CAD and later go for $199.99 CAD and available in silver, white and black. In addition, Amazon has introduced Alexa with a new English voice with a Canadian accent, local knowledge, and local skills from Canadian developers. There will be over 10,000 skills available for Canadians including ones from Air Canada, TD Bank, Telus, CBC, The Weather Network, Bank of Montreal and more. The Echo Dot, Echo and Echo Plus aren’t the only Alexa-enabled devices coming to Canada, the ecobee4 smart thermostat will also be coming for $329 CAD. As will the Ultimate Ears’ BLAST and MEGABLAST, multi-room Chorus speakers from FABRIQ. The Echo devices will also be available at Best Buy, The Source, Staples, Telus, Bell, Bed Bath & Beyond and TSC: Today’s Shopping Source.